I Need a Conex Box - Should I Rent or Buy? You have decided that a repurposed shipping container will assist you with your business. Whether it is an increase in storage space or office space you need, you have made the decision to pursue a conex box to help simplify your operations. Now the decision needs to be made as to whether to buy or to rent. A few factors need to be considered when weighing your options. Your situation is unique to your business needs and your budget may be unique to your operation or the individual project on hand. Will the conex box remain in one location or moved to multiple sites over time? Do I need keep my working capital available for other things? My needs for the structure are unique and may require features beyond a basic repurposed shipping container. Short Term Use - If your needs do not require a long-term use of the structure, you may best be served by renting a repurposed shipping container for the short length of the project. Delivery and pick-up happen at the onset and end of the rental period. Mobility is Needed - Your need for the repurposed shipping container may require movement from job site to job site. 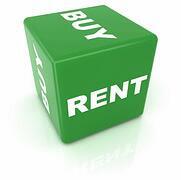 A rental contract will allow the use of favorable delivery and pick-up rates included in our rental agreement. This allows for the return of the unit back to your provider without the need for your own re-sale or removal. Budget and Capital Constraints - You would like to keep your capital available for other projects and the specific budget may have limitations. Renting a conex box long term for your project allows you to spread the expense over time. Long Term Use - Your project or expansion may require you to use the extra space that the conex box is providing for an extended time. Depending on the timeframe and type of shipping container required, the cost benefit analysis may work in the favor of a purchase. Stationary Project - You do not anticipate moving your repurposed shipping container to another location. This situation may warrant a purchase with no need for pick up fees paid at the time of purchase. Capital is Available - The upfront capital may be available for the purchase of the repurposed shipping container and when compared to a rental agreement it may be a better fiscal decision for your organization. Unique Use of Box Required - If your project requires additional features to be added to the repurposed shipping container beyond the standard conex box, a purchase may be required to design the structure to meet your needs. It is best to review your entire project and budget situation based on the factors above when deciding whether to rent or buy a conex box for your organization. While the above offers a great framework for consideration, you can contact a Falcon Boxpert to assist you in deciding which option would work best for your company. Contact us at www.falconcontainers.com.